With three children in my house I get asked a lot of questions. “Whys?” “What ifs?” “How comes?” are all part of the household daily dialogue. Apparently, the average three year old asks at least 50 questions a day, although I reckon our resident three year old easily doubles this number! I have noticed, of all the many questions my youngest asks, the most frequent one is…. Your favourite colour seems to be one of the most defining aspect of your character when you are three years old! Apart from your food preferences, I think it is the first main expression of personal preference. The answer to this question can change at any given moment, but my three year old has been consistent with his favourite colour of yellow and I have to admit it really fits with his personality – but why do different things appear different colours? I thought this week I could share a bit about the science of colour! To understand the science behind colour we need to consider a bit about the science of light. Light, either from the sun or a light bulb, may appear white to us, but it is actually made up of seven different coloursmixed together; these colours are red, orange, yellow, green, blue, indigo and violet. Light is a type of energy called electromagnetic (EM) energy. EM energy actually travels in waves, even though we see light as straight lines. Light is the only type of EM energy that humans can see. The wavelength of light determines it’s colour. Light with the longest wavelength is red. Light with the shortest wavelength is violet. 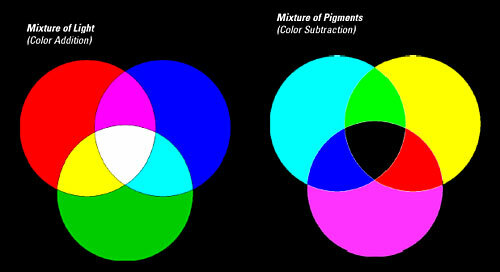 SO HOW DOES LIGHT RELATE TO COLOUR? 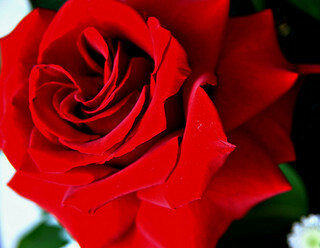 When we look at a red flower, what are we really seeing? When light shines on an object, some of that light gets bounced back (reflected) off the object. The rest of the light gets absorbed by the object. We see the object as the colour that it reflects. So, when we are looking at a red flower we are looking at a flower that has absorbed all the light that is shining on it EXCEPT red light. It is reflecting red light so that is the colour it appears to the human eye. When an object appears white it is reflecting all the light shining on it and when an object appears black it is absorbing all the light and not reflecting any of it. You can try this yourself at home: use torches to create the coloured light…fix two different coloured pieces of cellophane (say red and green) over the end of two torches (one colour on each torch). Shine the torches on a white wall or piece of paper. When you overlap the red and green colours you should get yellow! Now repeat with paint – mix red and green paint and what do you get? Not yellow this time but brown! when sunlight travels through drops of rain each colour of light bends to a different angle and the white light is separated out into it’s seven colours. Did you ever notice that usually when you see a rainbow there is a second, more faint rainbow around the first one? This second rainbow forms because some of the light is reflected off the back of the raindrop and bent a second time! These secondary rainbows appear more dark as the light has been bent twice and the colours appear in reverse. 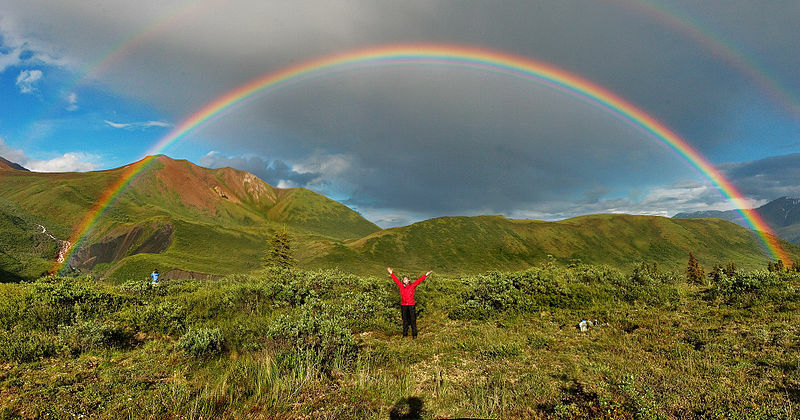 Check it out next time you see a rainbow! HOW DO ANIMALS SEE COLOUR? Some animals, such as cats and dogs, rely more on what they can hear or smell, than on the colours they see. Their colour vision would not be as good as humans. Like Humans, many primates and marsupials have good colour vision that they may use to allow them to recognise prey or food. Good colour vision is common among fruit eating animals as it allows them determine ripe from un-ripe fruit. Many species of birds and fish have better colour vision than humans. If you consider how elaborately colourful these animals often are then it is not too surprising to accept that they must be able to see these lovely displays of colour among their own species. Pigeons, for example are thought to be among the best animals at detecting colour and can see millions of different hues. Reptiles and amphibians are thought to have colour vision equal to, or better than, that of humans. Many insects can see light (colour) that is not visible to humans. Bees, for example, can see Ultra Violet (UV) light. This allows them to see UV patterns on flowers, leading them to the source of nectar. 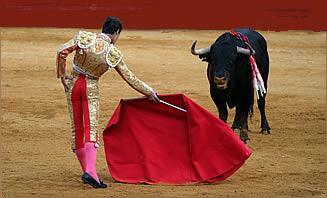 Finally, a myth buster…do bulls really “seeing red”? Infact, no they don’t – they are colour blind. The only reason that they charge the red cape is because it is fluttering in front of them! ← A good night’s sleep!